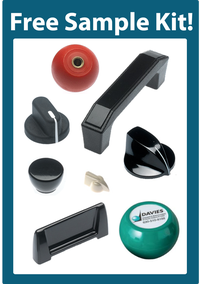 Davies Molding is an authorized distributor of Rohde handles. 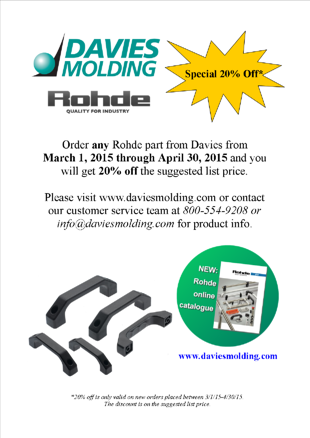 We are running a promotion in March and April for 20% off the suggested list price of any Rohde product you purchase from us. Please visit our website www.daviesmolding.com for product images and specifications. You can contact our knowledgeable customer service team at 800-554-9208 or info@daviesmolding.com to get a quote and take advantage of this great offer.